Leading Manufacturer of led high bay light, round led high bay light, croma-z-150w led bay light and capella-e flameproof lights from Bengaluru. Lokozo high bay lights are ideal for general industrial lighting applications and use LED lamp technology to provide optimum colour rendering and energy efficiency. Lokozo high bay lighting is available with aluminium reflectors for greater optical control for polycarbonate lenses to achieve upward lighting control , provide you with the perfect high bay lighting solution. 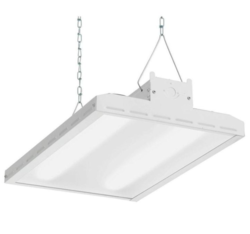 §It is designed to incorporate low and medium wattage HID lamps §The luminaries is suitable for indoor and semi-outdoor use at an ambient temperature of max 45ºC. §Luminaries in combination with wide beam reflectors are suited for relatively low halls and areas where vertical illuminance is required. 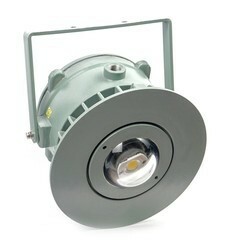 We have marked a unique position by offering a wide gamut of Round LED High Bay Light to our respected customers. Manufactured using best quality materials, we offered these products in different specifications. The offered products are designed by expert professionals using innovative LED technology. Apart from this, we are offering these high bay lights at very reasonable rates to our valued clients. We are offering a wide range of CROMA-Z-150W LED Bay Light to our clients. We provide high-quality products to our clients. 1.With the unique light distribution design, make the light well distributed. Its beam angel can reach 220 Degree. It efficiently utilize the light. Have a good performance of illuminance uniformity, glare free, can avoid eyestrain to the worker. 2.Indian Lokozo make LED driver, high efficiency, more stable performance. 3.The housing is especially designed to dissipate heat. 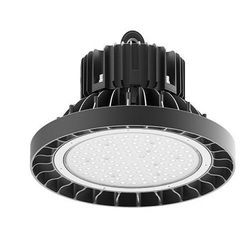 Besides, it uses the thermal transmission to accelerate the heat conduction which increase the efficiency and lifespan of the LED, so that to ensure the 100,000 hours LED lifespan. 4.The lamp is made to the highest explosion proof protection grade: flame proof, so that ensure the lamp can safely used in all kinds of inflammable and explosive places. 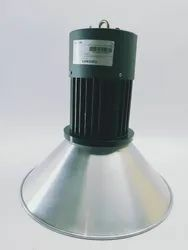 5.The anti corrosion, abrasion proof, power coated cover which is dust proof, water proof , make the lamp an excellent option for all kinds of high stress environment. 6.18-43VAC or 18-55VDC is optional for 25W and 40W as customer's requirement. Looking for Bay Light ?